Cute Moka. Found this cute picture of Moka and had to post it. 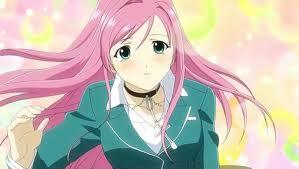 :P. Wallpaper and background images in the Rosario Vampire club tagged: vampire rosario moka cute anime legendjared.